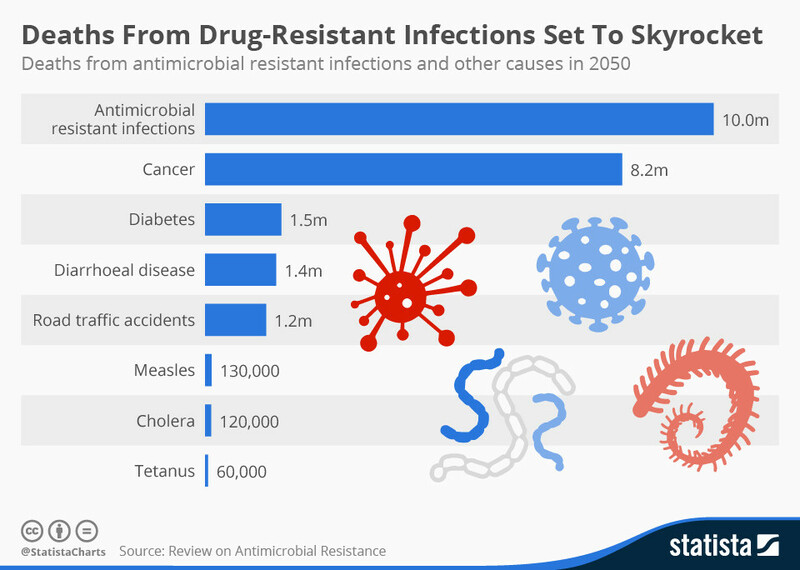 Scooper - Technology News: Will we ever create resistance-proof antibiotics? Will we ever create resistance-proof antibiotics? The vast majority of drugs used today have been produced by modifying the products of microorganisms that have been around for millions of years. Soil, which harbours plenty of ecological complexity and genetic diversity, is by far the most important natural habitat for producing antibiotics. In such an environment, the antibiotic producers live in densely packed communities with all kinds of other bacteria. This means that their neighbours have had millions of years to invent creative measures to avoid death from antibiotic action . Resistance is therefore a very old phenomenon – existing long before we started harnessing antibiotics to manage disease. Indeed, genome sequencing of the oldest bacterial strain to be stored in a culture collection – isolated during the Great War from a soldier who died of dysentery – revealed this strain was resistant to penicillin and erythromycin . This was despite the fact that these drugs were not administered until many years later. Even more strikingly, genes very similar to contemporary resistance genes have been detected in 30,000-year-old ice core samples. And of course there is also the obvious point of reducing our use of antibiotics . This can be achieved by tighter regulations, especially on antibiotic use in farming, but it can also be achieved by reducing our need for antibiotics. Improved hygiene in hospitals, increased sanitation, better diet and vaccine development have historically all contributed hugely to the fight against bacteria. These will remain at least as important as the search for new antibiotics in the future.